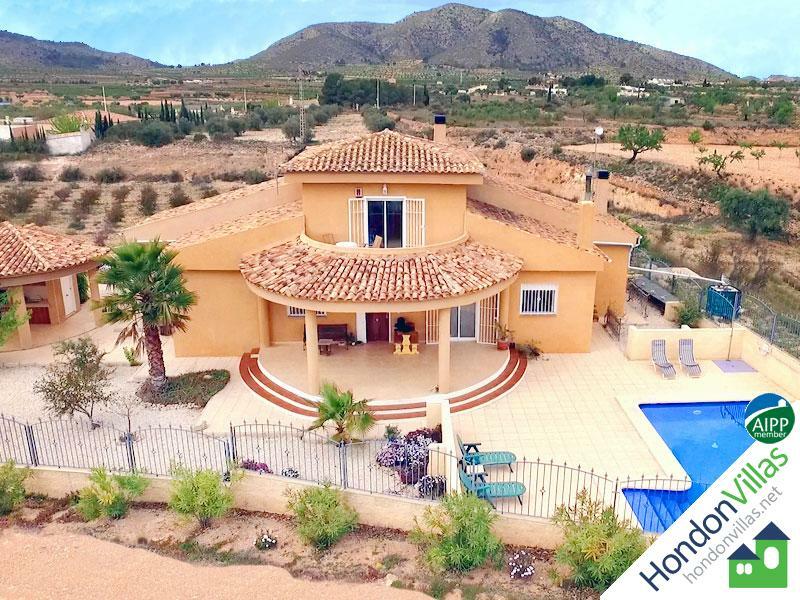 Hondon Villas offer this Exclusive Listing and are delighted to bring onto the market this stunning individually designed detached double storey villa. The villa offers a good living space with an open plan lounge / dining room with a large log burner and a very large fully fitted quality kitchen. 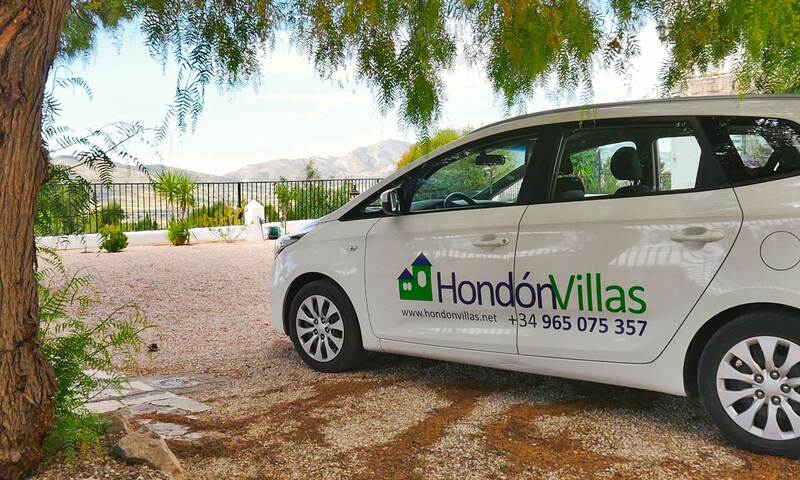 The villa is designed to a high standard. There are a total of 4 bedrooms on the ground floor. The master bedroom has en suite and a dressing area. The bedroom in the upper floor has an amazing mountain view balcony. The property also benefits from central heating, security shutters and ceiling fans. Outside is a private pool, an outside kitchen and shower room. With ample outdoor space for entertaining. There is a car port and double entry gates. We strongly recommend viewings on this property.